Elizabeth Walker wouldn't trade the years she spent studying Shakespeare and Keats. She credits her liberal arts education at Austin Peay State University with teaching her the lessons of history, civic-mindedness and ethical decision-making. Trouble is, her English degree turned out to be more of a prerequisite for self-improvement than a meaningful career. After graduation, the 26-year-old tried and failed to find several jobs. Instead, she spent nearly two years working at a coffee shop and a hotel - where, she said, "my education didn't matter to anyone." 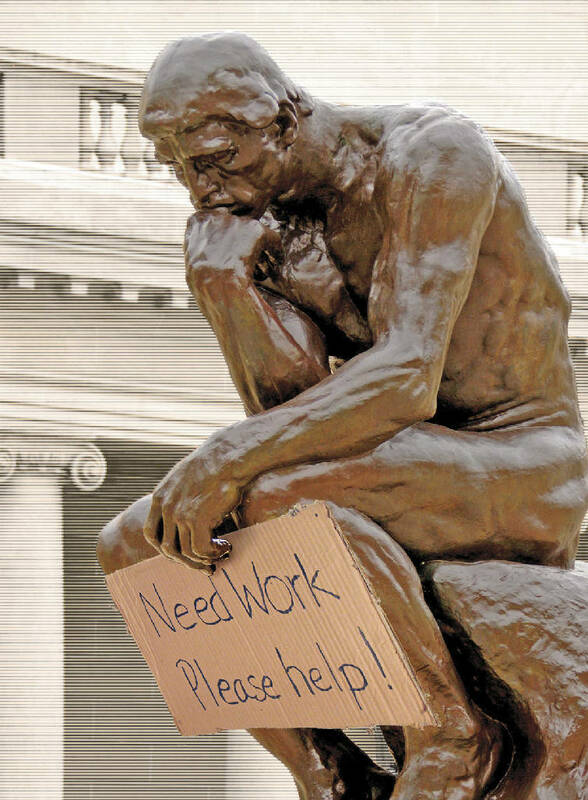 As thousands of graduates with liberal arts degrees in Tennessee and Georgia head into one the worst job markets in the past 25 years, many are finding their training in the humanities to be less appreciated than expected. The old employer line, which granted value to any degree as long as the candidate could write well, play nice with others and solve problems, has been replaced with demand for specific skills training, according to education experts. Accountanting, engineering, computer science and business are at the top of employers' lists of most-desired hires, according to the National Association of Colleges and Employers, a nonprofit organization that surveys employers nationwide. Given tighter budgets, state and university leaders have reacted by shifting resources to market-driven programs and a degree-factory model. At the same time, students' interest in the humanities has waned, research shows. Some administrators find little defense for increasing financial support for the state's liberal arts offerings - raising concerns that a quality liberal arts education one day will be available only to the students of elite private colleges. In 1966, nearly 18 percent of college graduates majored in the humanities but dropped to 8 percent by 2004, according to the Humanities Indicators Prototype, a research project of the American Academy of Arts and Sciences. At UTC and statewide, the number of English majors has remained stagnant, while business majors have increased modestly. At UTC, 19 percent of graduates majored in business administration in 1998, compared with 27 percent in 2007, according to the Tennessee Higher Education Commission. The University of Tennessee system added seven engineering programs to its universities in the last five years, but not a single liberal arts undergraduate or graduate degree was created. This year, the UT board voted to either eliminate or cut funding for a program in dance and majors in political science, psychology, modern foreign language, English and medical ethics, documents show. At the University of Georgia, a major in Arabic was the lone liberal arts major among 18 programs added in the past 2 years. The study of Greek, along with a certificate program in women's studies, were terminated, documents show. Andrea Konck, a researcher for the American Association of Colleges and Employers, said enrollment has been stagnant in the liberal arts because those graduates are not in demand. In the last 10 years, national employers have not listed liberal arts major as "in demand," she said. While in the past some businesses sought graduates with broad education and experience, more and more want students to learn specific skill sets at the college level, said Jean Dake, director of placement and student employment at UTC. For example, she said, banks used to welcome students with liberal arts degrees. However, today bankers ask for candidates with backgrounds in accounting, finance and economics. "It is becoming fewer and far between, the ones that will take any degree," said Ms. Dake. "They want people to hit the ground running. They want to know you are interested in something specialized with your degree." This trend is borne out in America's largest companies, where only 6 percent of chief executives have a liberal arts degree. At the top 500 firms, 22 percent of CEOs majored in engineering and 16 percent in economics, according to the 2008 Route to the Top survey. However, a liberal arts major can still spark a career. According to the American Academy of Arts and Sciences, 32 percent of humanities majors find work in education, 22 percent work in business, and 10 percent take jobs in editing, writing or performing. Liberal arts degrees still provide strong preparation for advanced degrees such as law and medicine, experts say. The shift toward a practical focus has been a boon for technical schools. To help liberal arts majors struggling to find work, Chattanooga State Technical Community College began a program last fall to give students technical skills as an add-on to their degree. The two-year community college is offering courses in management, criminal justice, geriatrics, art management, film and television technology and wellness and fitness leadership for students who want to improve their marketability, said Fannie Hewlett, provost at Chattanooga State. "I have had a lot of liberal arts majors come in looking for engineering degrees," she said. "Most say they can't find a job in their field or related into what they were studying." Tim McGhee, head of the engineering technology department at Chattanooga State, said many humanities majors hired to do clerical work, customer service or human resources have been some of the first to go in recent layoffs, and have had to go back to school for specific skills training. A fear of irrelevance is very real to Brian Beise, an English major who graduated from UTC this month. An honors student with several published essays and poems under his belt, he said work is nearly impossible to find. "I have these great awards, but when it comes down to brass tacks it doesn't matter to anyone," he said. "I studied to be a poor person, essentially." He has thought about teaching English in schools, but educators want him to have an education degree with specific teaching skills. When it comes to hiring teachers, pedagogy seems more important than knowledge of a subject, he said. "It is sad," said Mr. Beise. "I regret not majoring in education. There should be a course called 'getting a job as an English major 101.' "
As students like Mr. Beise deal with regret and contemplate changing course, universities are also refocusing to produce the types of students they believe businesses want. While the University of Tennessee system works to cut $66 million from its budget in the next two years, administrators will have to make difficult decisions about where to invest money. State leaders have made it clear that technology and health care training should be a priority. Officials with the UT system want to increase science, technology, engineering and math majors from 17 percent to 20 percent by this fall, documents show. "We will have a market-driven curriculum development," said UTC Chancellor Roger Brown. "We would have very few people who would come to UTC for a doctorate in English or history. There is not a demand for them." Liberal arts programs with low production will be at risk for cancellation like any other program with few students. Courses at the master's and doctoral levels are at greatest risk, he said. While it is unlikely that schools will eliminate their liberal arts offerings, professors say they are concerned about a decline in quality. Pedro Campa, president of the faculty senate at UTC and professor of foreign languages, said if budget cuts cause the administration to slash upper-level liberal arts courses, attracting talented faculty in those fields will be difficult. Already, he said, more and more humanities courses are being taught by part-time faculty, instead of tenured researchers with doctorate degrees. "The liberal arts education can't be done with junk faculty," said Dr. Campa. You can't have a true university without a quality liberal arts program, he said. "You can have a junior college, a technical school." A lack of understanding about the past is impractical and dangerous for the future of the United States, said Howard Block, a French professor and chairman of the humanities program at Yale University. "The studies of pasts is the best laboratory we have for plotting strategies for the future," he said. For example, "in the study of history we see what people have tried, what works and didn't. We come into contact with the limits of human possibility." The same is true for programs in philosophy, religion, art and languages, in which great ideas, past and present, are debated. Issues being debated in this current economic crisis - greed, self control, free markets and government regulation - have been discussed from Aristotle on. "By studying what great minds had to say one might have been more cautious than we were," he said. College career planning used to be more about helping students find jobs that play to their strengths and interests. Now, said UTC's Dr. Brown, "advisors are counseling students to get into fields where they can earn a good living." So are parents, who often worry that a liberal arts major will hinder their child's potential. With tuition climbing nationwide, families want a return on their investment. But many professors and administrators say it is dangerous to treat education like a commercial commodity. They say that specific skills training can quickly become irrelevant in today's fast-paced business world, while critical thinking will not. Strong liberal arts courses, such as English literature and European history, allow students to be flexible in an ever-changing job market. "We know now the average person will change careers several times," said Verbie Prevost, chairwoman of the English department at UTC. "The person who has the liberal arts background is able to do that. (Employers) want someone who has the ability to communicate well, think, solve problems and be an interesting person to be around." Leslie Berlowitz, chief executive officer with the American Academy of Arts and Sciences, said that universities across the country already have reduced foreign language and advanced history offerings - cuts she says are short-sighted. Already, this generation of students, who are supposed to be part of a global community, have a poorer understanding of history, other cultures and languages, she said. "If we are educating for the job market we know today, we are often missing the job markets that will emerge and be critical tomorrow," Ms. Berlowitz said. Amy Hamilton, for one, regrets thinking so practically. Originally a religion major at Covenant College with an interest in different cultures and faith, she transferred to business, under pressure from her parents. As a manager for a construction company, she had a plush corner office, lunches on the company dime and great pay. "But I wasn't happy," she said. Today, the 30-year-old is back at UTC studying for another bachelor's degree, in cultural anthropology. She knows it will be difficult to find a job doing what she enjoys. She may have to live off Ramen Noodles and saltines. But she's convinced it's worth it. "I would rather be paid $5 an hour doing something I love," Ms. Hamilton said. "You spend most of your life working. It wasn't worth making $50,000 to $60,000 a year and dreading going to work." Elizabeth Walker, the underemployed English major, is making a different calculation. This year she set aside her love of reading and writing to work toward an engineering degree at Chattanooga State.